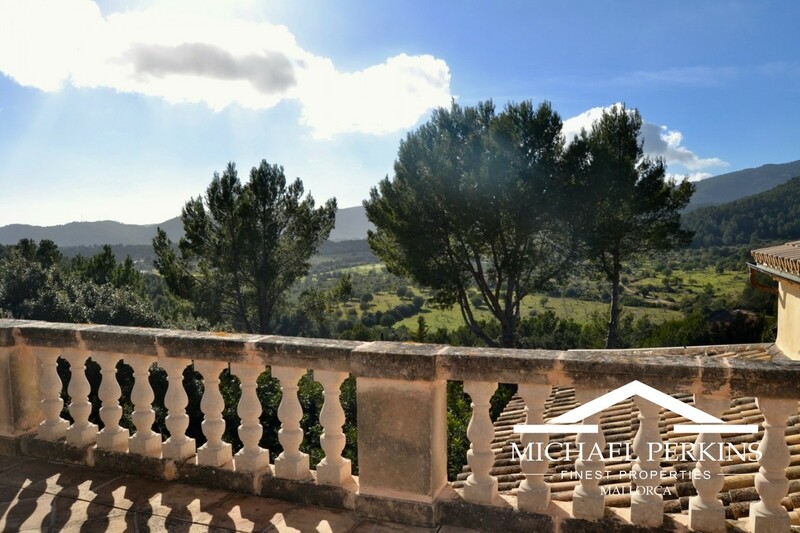 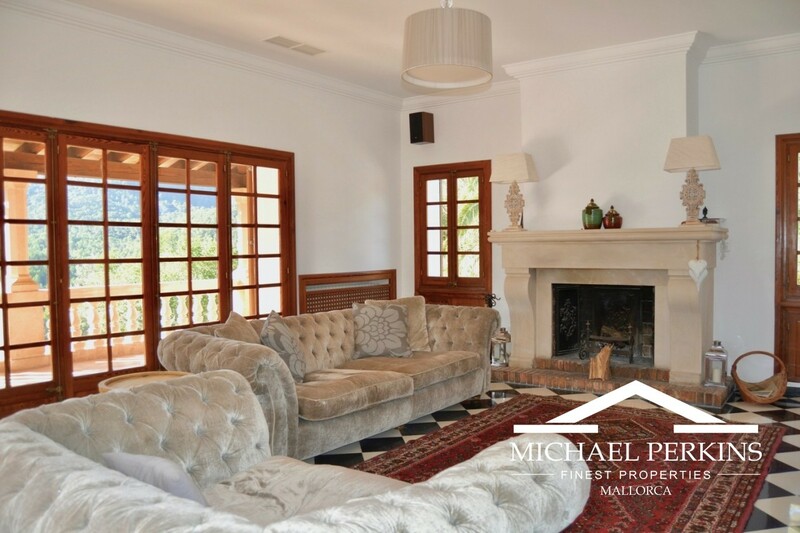 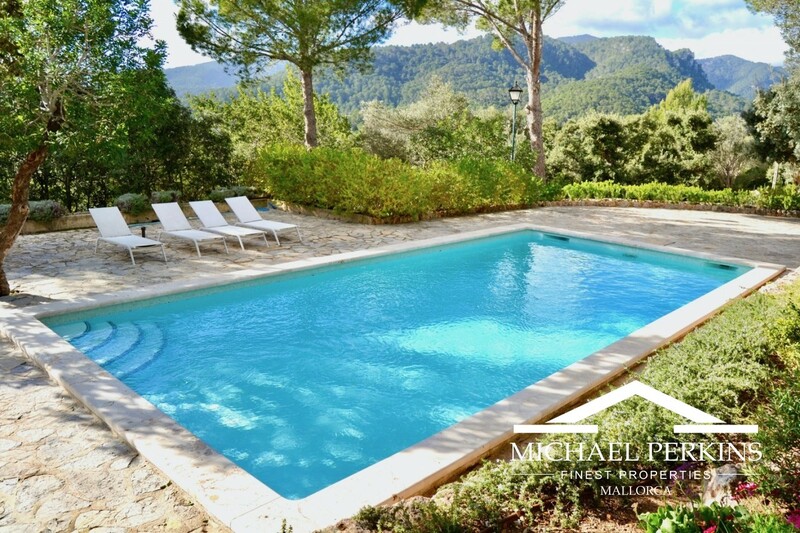 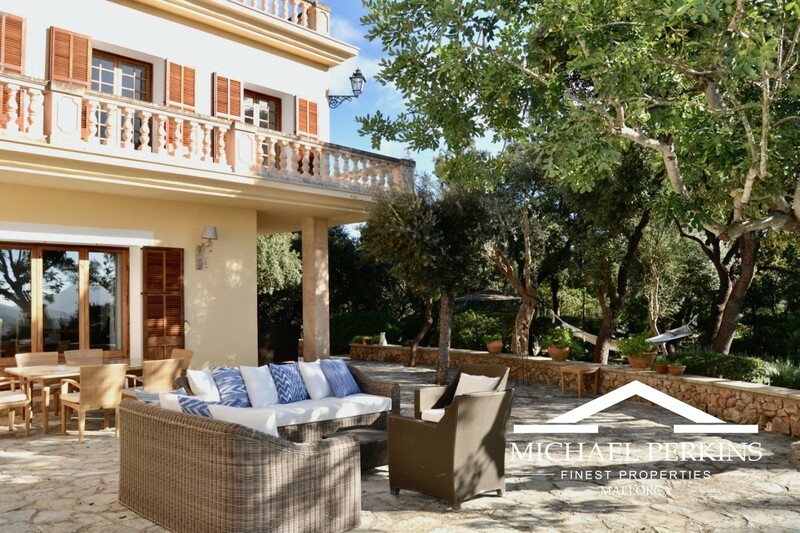 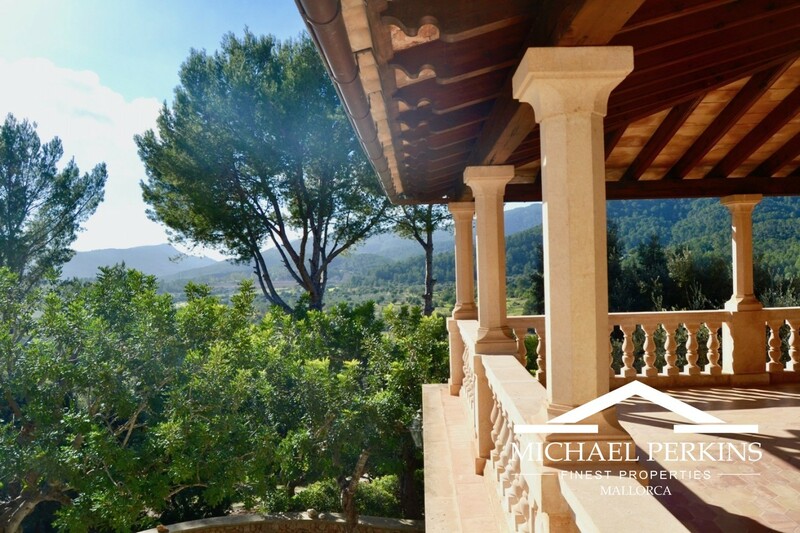 Surrounded by beautiful countryside yet just a short drive from Palma, this impressive family home has recently been refurbished to a high standard. 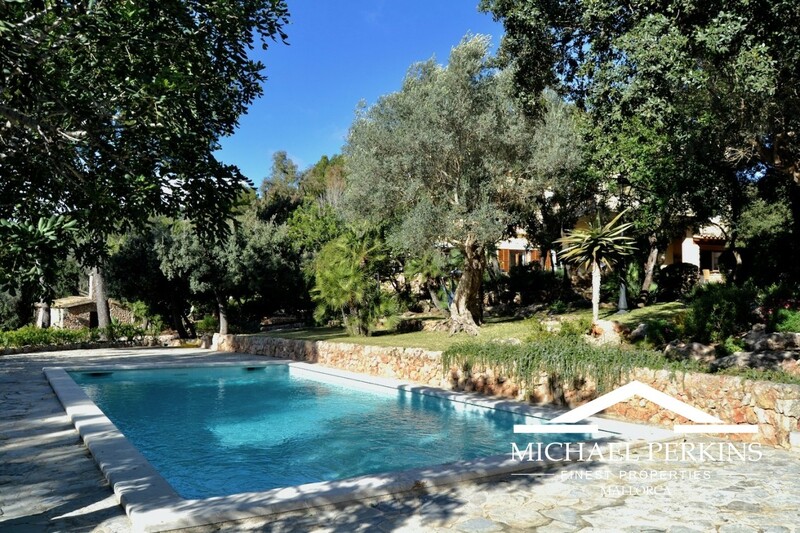 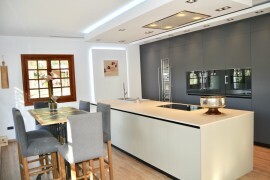 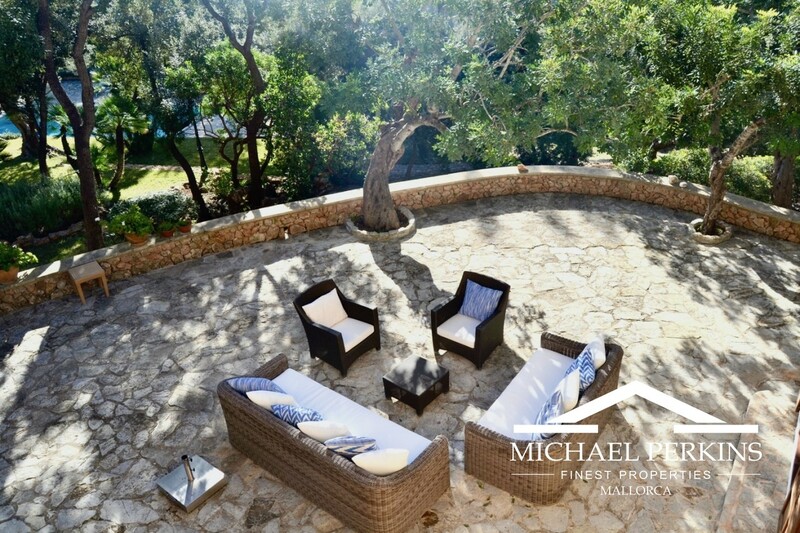 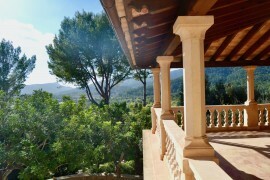 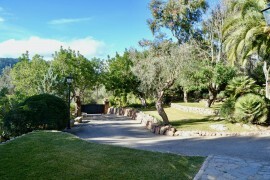 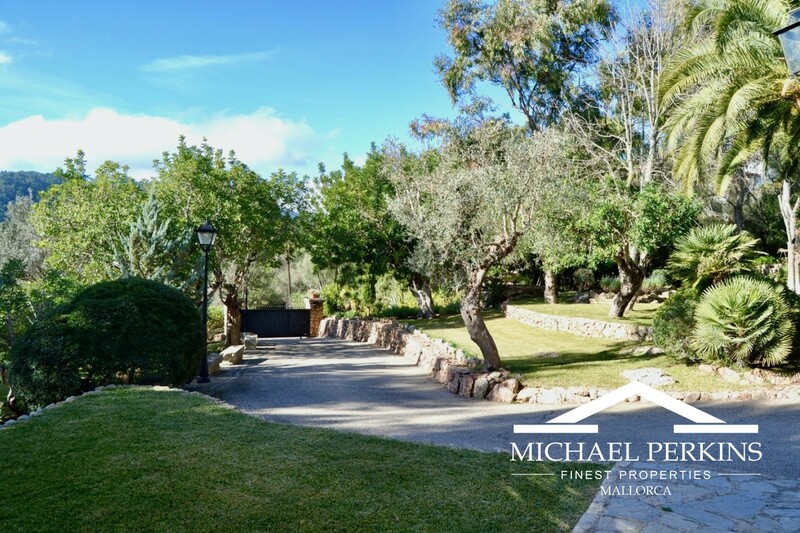 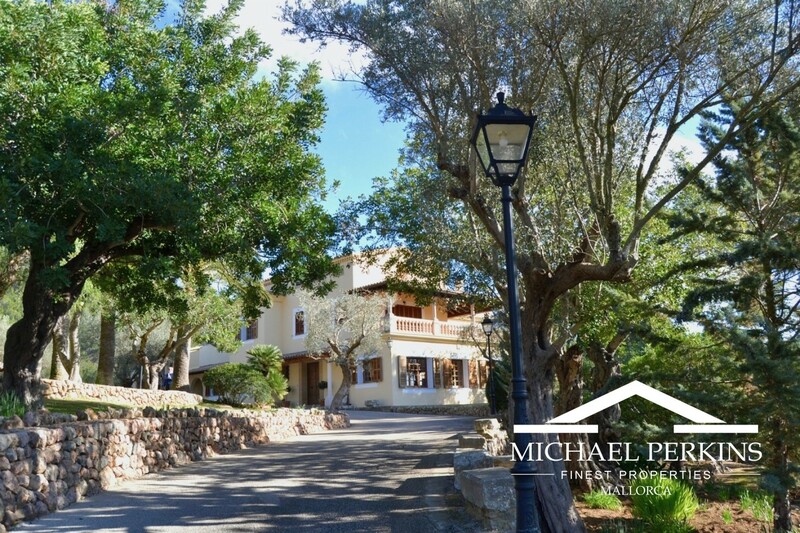 Approached via a gated drive which leads onto a large courtyard the villa enjoys panoramic country views. Comprising a large entrance hall with beamed ceiling, a spacious living room with a fireplace and access to a terrace, dining room with fireplace, large fully fitted kitchen with Gaggenau equipment and breakfast and sitting areas. 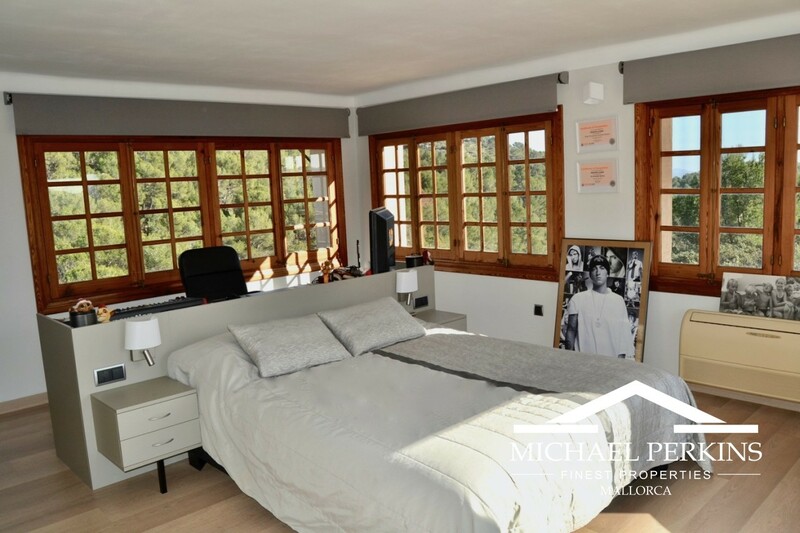 There are a total of five bedrooms and five bathrooms in the main house with a stunning master suite with fireplace, his and her bathrooms and a dressing room. 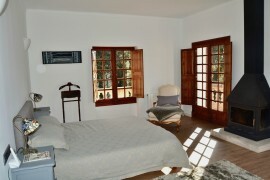 Another bedroom suite occupies the top floor which is accessed via a beautiful wooden spiral staircase. 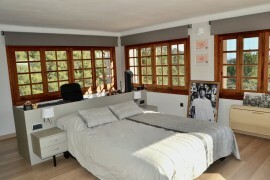 This bedroom has a vast terrace with country and distant sea views. 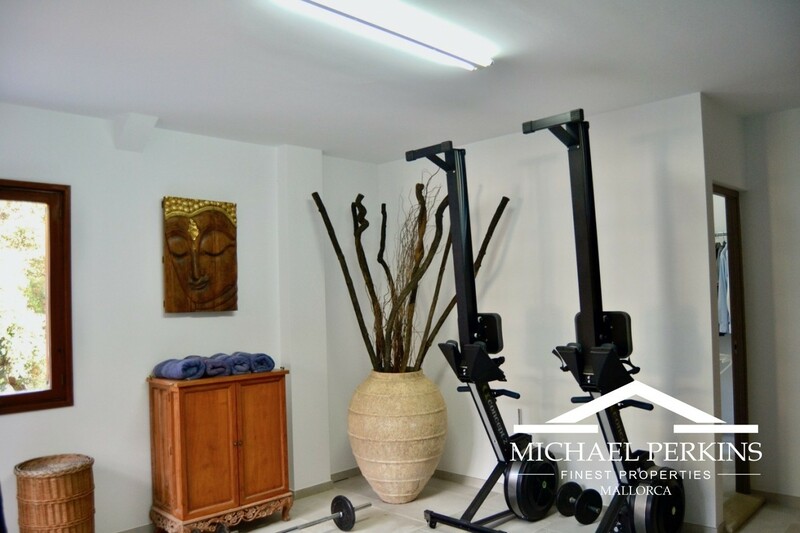 There is also a gym ( or sixth bedroom) and utility room. 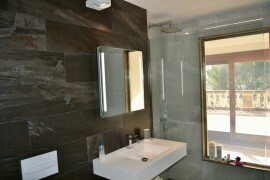 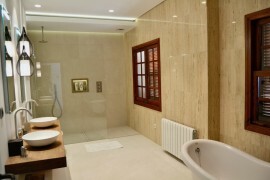 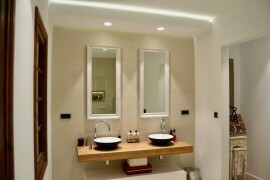 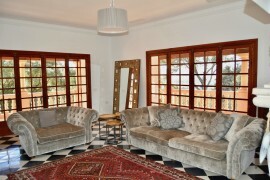 A guest house provides another two bedrooms and bathrooms, living room and kitchen. 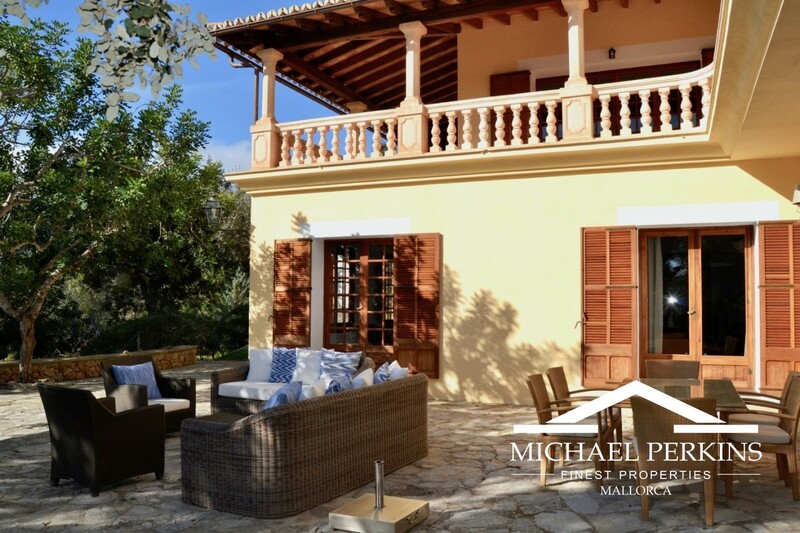 The villa has large terraces with dining and seating areas and a summer kitchen with wood burning oven to enjoy an alfresco lifestyle. 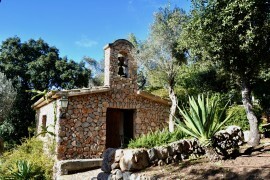 Set within extensive mature gardens, with a large salt water swimming pool, the grounds also contain a romantic chapel. 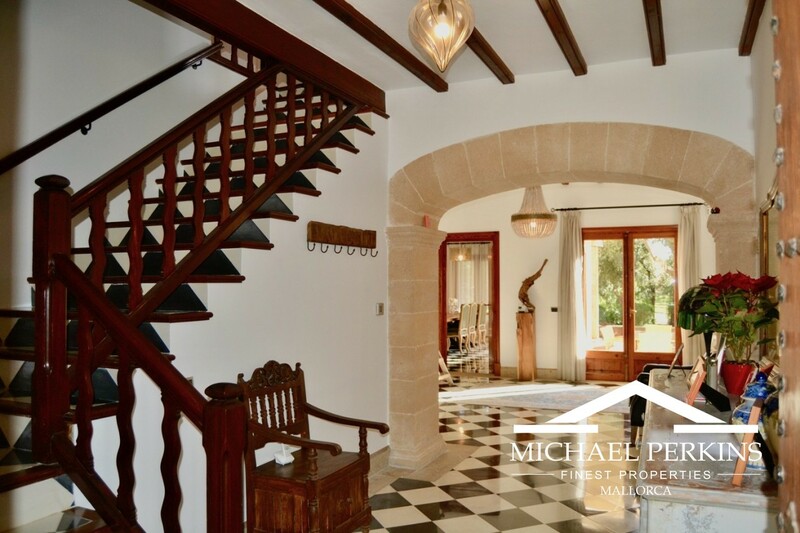 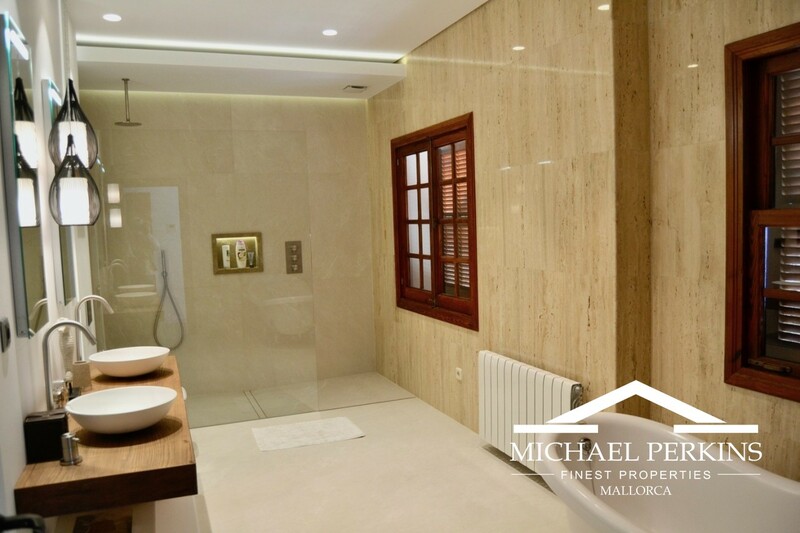 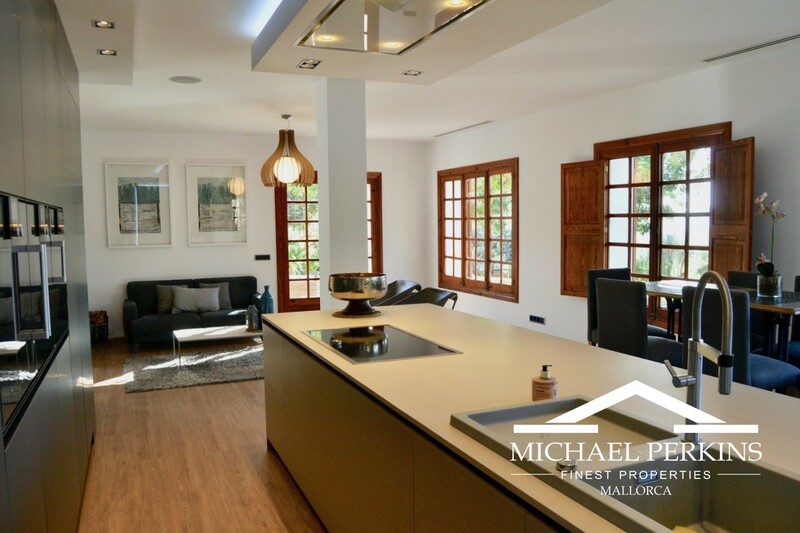 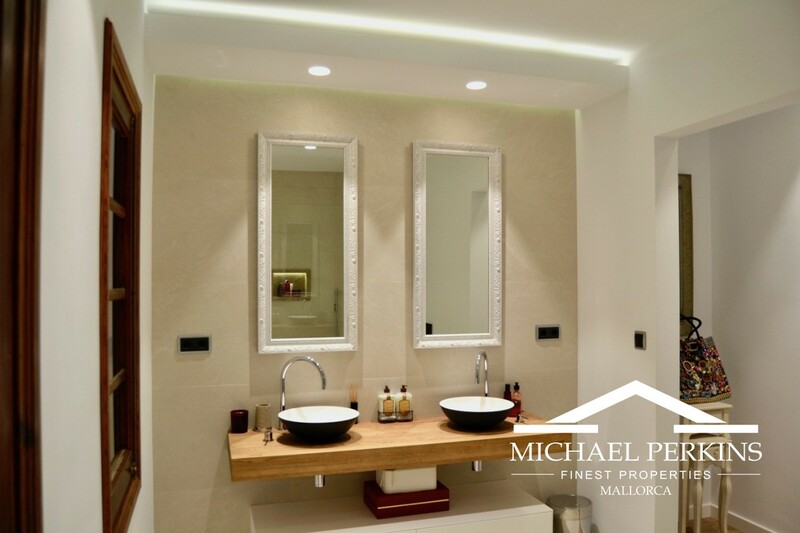 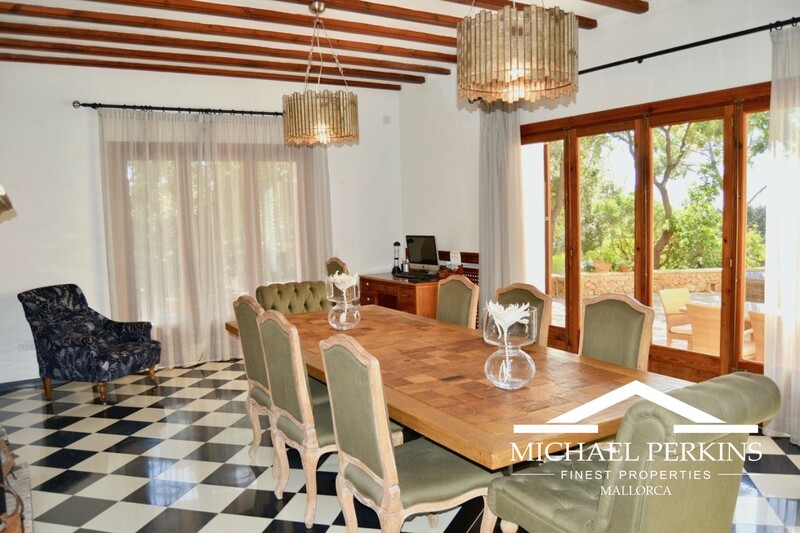 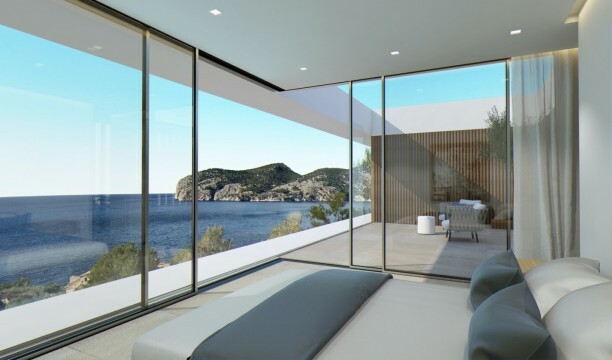 This exceptional villa provides modern styled kitchen and bathrooms while retaining original architectural features throughout the bright and light filled living rooms. 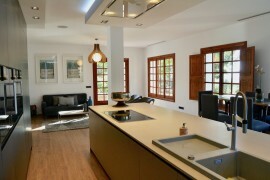 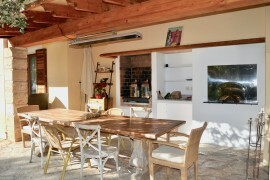 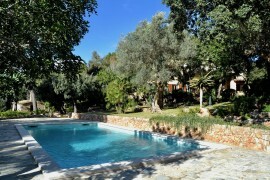 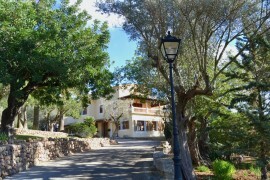 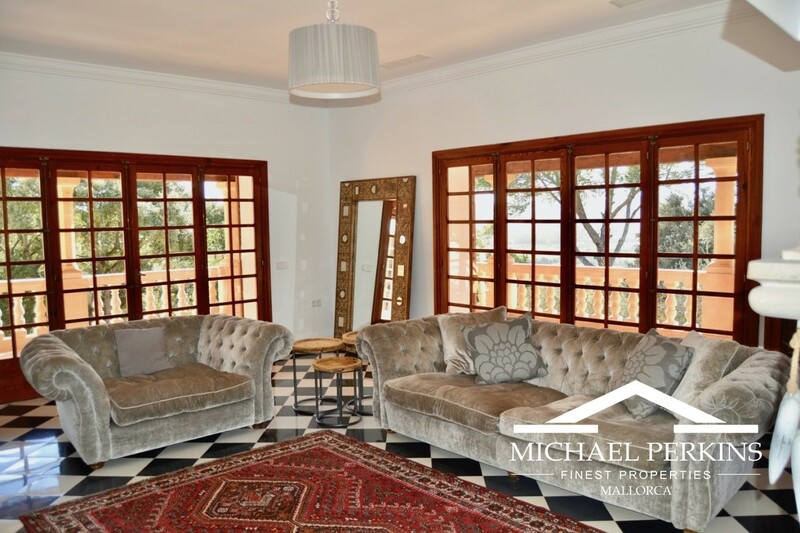 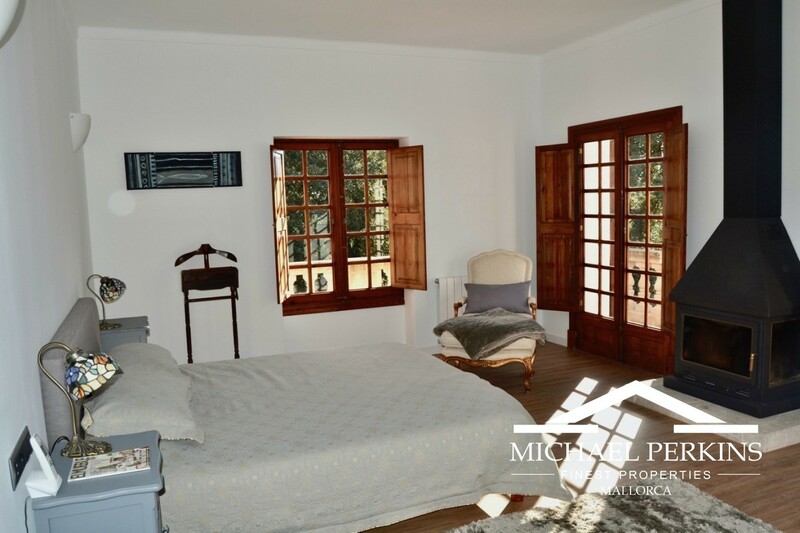 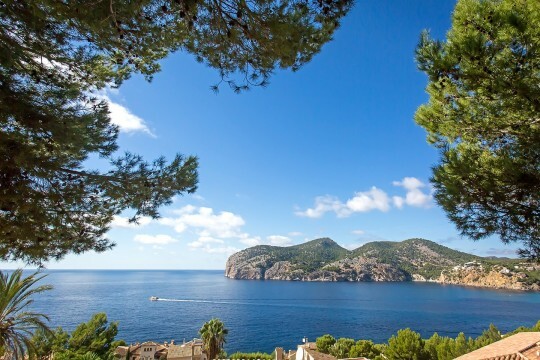 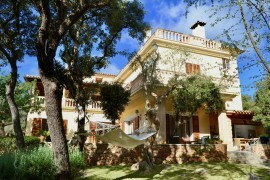 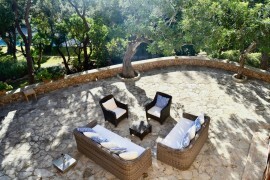 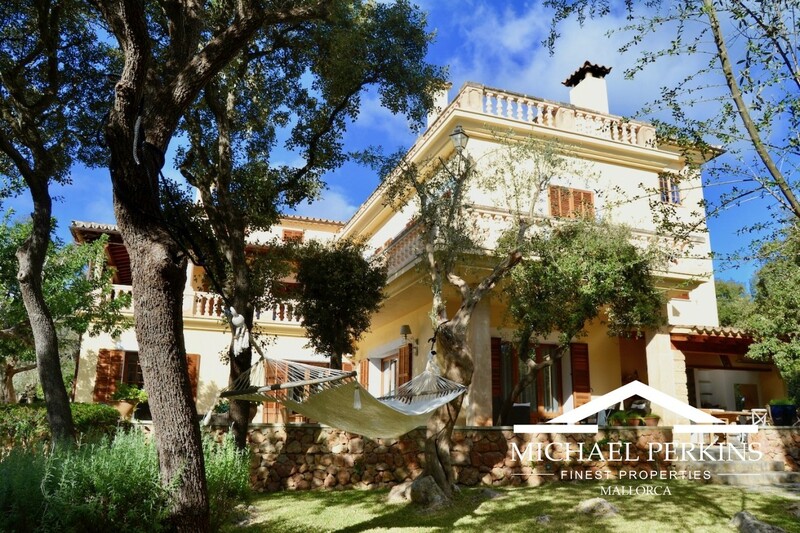 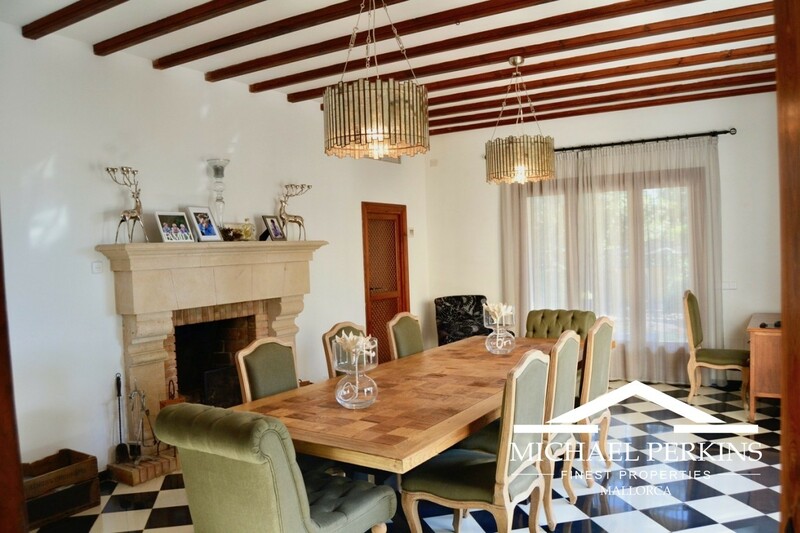 A delightful family home in an idyllic location close to Palma.